1 Peel carrots, celery root and parsnip. Halve leek lengthwise, rinse well and drain. Chop all vegetables coarsely. 2 Without peeling, halve onions. 3 Clean mushrooms and coarsely chop. 4 Rinse tomatoes, wipe dry, cut into quarters and coarsely chop. 5 Heat oil in a large pot over low heat. Add vegetables and cook until softened, stirring occasionally, 8 to 10 minutes. 6 Pour in 4 liters (about 4 quarts) of water; bring to a boil. 7 Skim foam from surface of broth as necessary. 8 Add rosemary, thyme, bay leaves, peppercorns and allspice berries to the pot. Cook over medium heat until flavorful, about 1 hour. 9 Strain vegetable broth through a fine sieve into another pot. 10 Simmer broth until reduced to about 1.2 liters (approximately 5 cups), 1 1/2 to 2 hours. Let cool completely. Refrigerate and use within 3 days or pour into freezer bags, seal tightly, and freeze up to 3 months. 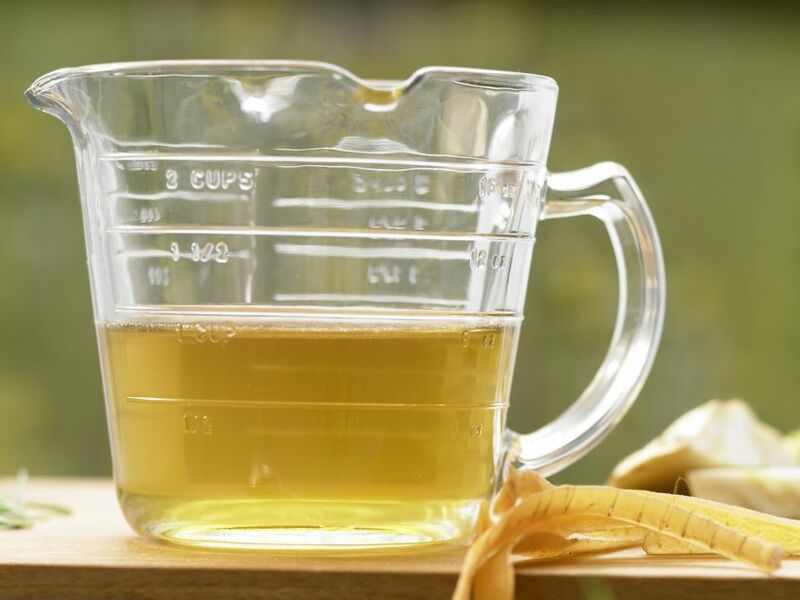 11 Tip: To preserve the broth for longer, you will need to use a pressure canner and process jars according to manufacturer's instructions, or visit http://nchfp.uga.edu/.